William Huffman’s triathlete career dates back to his childhood days when he would ride his mountain bike alongside his father on recreational runs. They ran their first 5K together when William was 10. 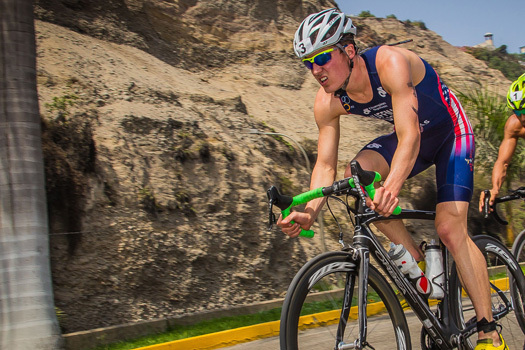 Huffman, 21, is now ranked in the top 80 triathletes in the world and the top six or seven in the United States. He was champion in the Under-23 Nationals in 2013 and 2014, champion in the Under-23 Pan America, and bronze in the Elite Nationals. Since late 2011, he has been coached by Greg Mueller, based in South Bend, Ind. He met Mueller at an Olympic training center camp and sought him out a year later, when he decided to get a new coach after a year with Dallas-based coach Sean Thompson set him on track for a career. He’s spending the summer in South Bend, after a winter training camp in Nevada. Mueller chooses practice locations tailored to the environment of upcoming races – Texas, for example, when the competition is in a hot climate. Huffman is aiming for the 2016 Olympics in Rio de Janeiro, but he expects he has a more realistic shot at the 2020 Olympics in Tokyo. 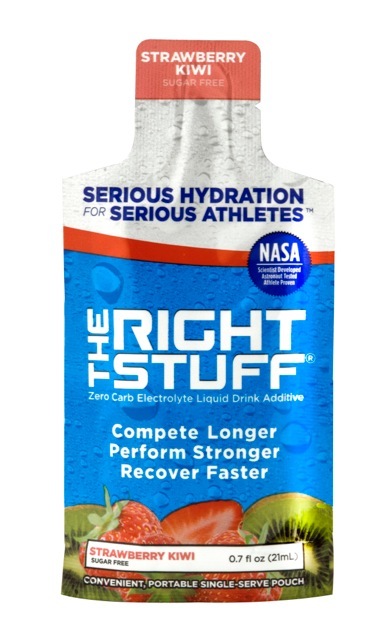 Huffman struggled with hot-weather races until a running specialist in Boulder, Colo., recommended The Right Stuff® (NASA-developed electrolyte drink additive) in 2012. He introduced it to Mueller, who has shared it with other athletes. I was amazed at the technology behind it (The Right Stuff) and the science. “I could not get hot weather races down,” he says. “I’d get tunnel vision, I’d get dizzy, I’d be really slow in those races, especially the longer they went on as I got into the run. They just never went well. 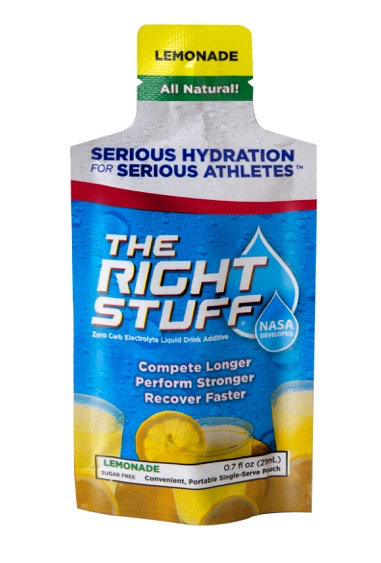 I was amazed at the technology behind it and the science (Editor’s Note: Summaries and links to numerous NASA-published studies are available at www.TheRightStuff-USA.com) . Since then, hot weather races are my favorite ones to target. I just feel a phenomenal difference in endurance and strength in hot weather.